Click the button below to add the BABY-BOX MidNite Solar Disconnect Enclosure for 1-4 MNEPV or MNEAC Breakers to your wish list. 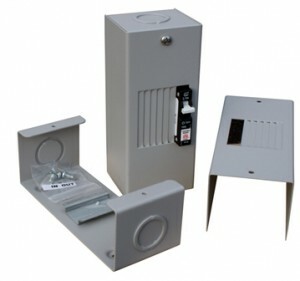 General use enclosure for retrofits, small inverter disconnects, PV disconnects, or AC/DC distribution. Used all around the world. 3/4 & 1” knockouts on each end. 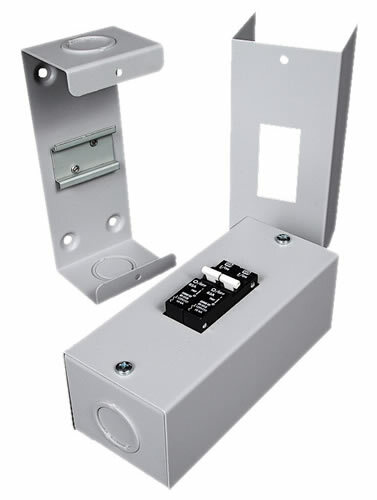 Accepts up to 4 Din mount breakers from 1 to 63 Amps. Dimensions: 3" X 3" X 7"